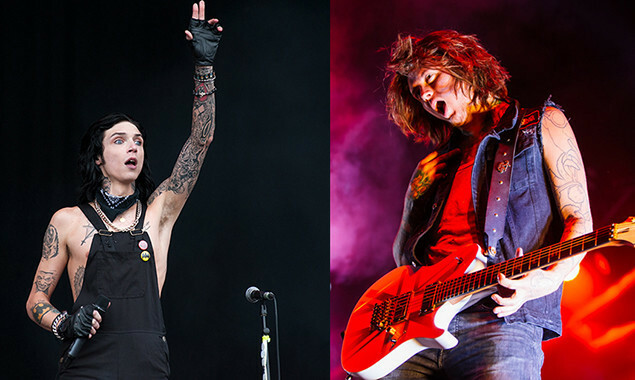 Black Veil Brides' Andy Biersack and Asking Alexandria's Ben Bruce will star alongside each other in a film called 'American Satan'. The movie - which is currently in pre-production - is centred around a half-English, half-American band who drop out of college, move to Hollywood and try to make it big. They make a deal with the devil (because of course they do) and according to the film's IMDB page, their "controversial altercations end up influencing society beyond anything this century has seen." Sumerian Records founder Ash Avildsen and producer Matty Beckerman wrote the film, while Ash will direct. We're excited. Is anyone else excited?